From the hard-ridden half-pipe of a suburban driveway to teens doing boardslides down stairway handrails in Rio de Janeiro, from the bright-light glare of ESPN’s X-Games to the groundbreaking street-skating videos of Spike Jonze, skateboarding has taken the world by storm—and if you can’t deal with that, get out of the way. 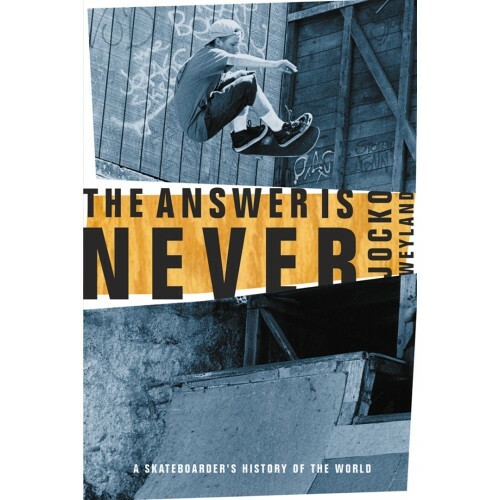 In The Answer Is Never, skating journalist Jocko Weyland tells the rambunctious story of a rebellious sport that began as a winter time surfing substitute on the streets of Southern California beach towns more than forty years ago and has evolved over the decades to become a fixture of urban youth culture around the world. Merging the historical development of the sport with passages about his own skating adventures in such wide-ranging places as Hawaii, Germany, and Cameroon, Weyland gives a fully made portrait of a subculture whose love of free-flowing creativity and a distinctive antiauthoritarian worldview has inspired major trends in fashion, music, art, and film. Along the way, Weyland interweaves the stories of skating pioneers like Gregg Weaver and the Dogtown Z-Boys and living legends like Steve Caballero and Tony Hawk. He also charts the course of innovations in deck, truck, and wheel design to show how the changing boards changed the sport itself, enabling new tricks as skaters moved from the freestyle techniques that dominated the early days to the extreme street-skating style of today. dimensions: 8.2" x 5.5" x 1"